Who said pop is dead? Super-sleek, compact and convenient, this expanding stick-on accessory for all smartphones in aluminium black props up your device so you don't have to. 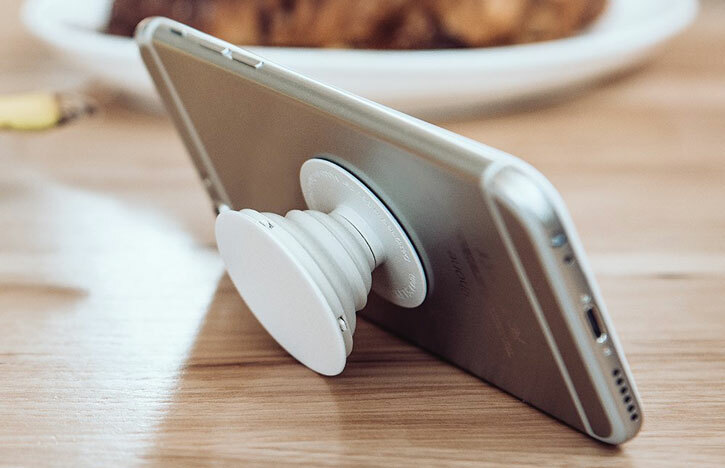 Simply stick PopSockets to the back of your phone, then pull outwards. Just the job for the plane. Good product just the job, for watching films, on the plane. 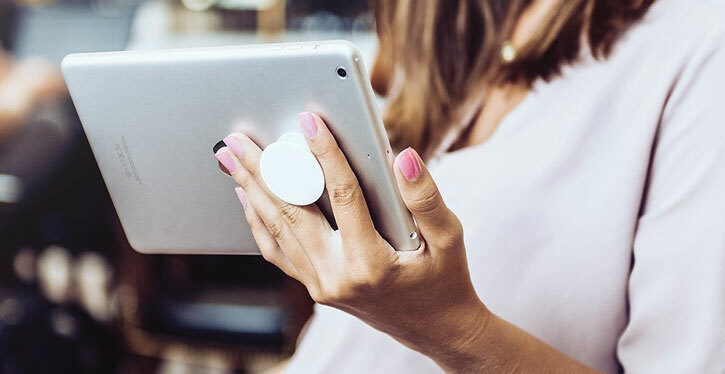 With PopSockets, you no longer need to choose between a desk stand and a grip for your device. PopSockets' grippy adhesive, robust construction and pop-and-collapse mechanism ensure that you'll always have an easy way to view media, check recipes, video call friends and more, as well as a handy way to take the pressure off your hands while you're holding your phone. There really is nothing like PopSockets. All you have to do to take advantage of this wonderful item is attach it to the back of your phone, then pull outwards. Hey presto - your very own stand and grip. When you're done using PopSockets, simply press inwards and your mount contracts to maximise storage space and minimise bulk. 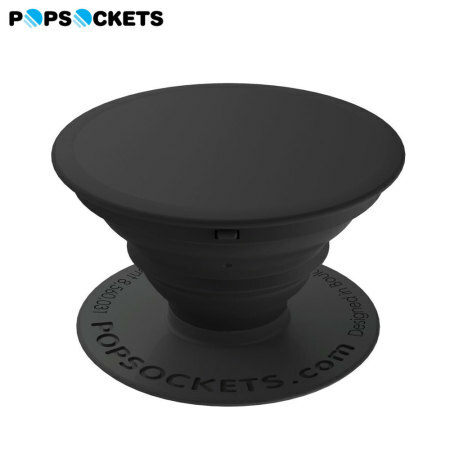 Working similar to many phone cases with a kickstand function - but entirely more versatile - PopSockets can be used in landscape or portrait orientation as a media viewing stand, perfect for those extended streaming service marathons. This is also ideal for keeping recipes close to hand while cooking, for example, or simply for keeping your device stable while typing. 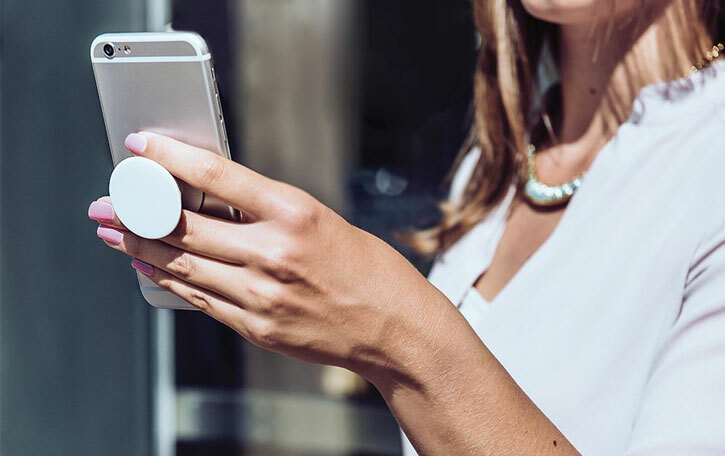 PopSockets can also be used as a grip, taking the pressure off your hands while texting or talking. Now you don't need to worry about dropping your device while you're in the middle of an important conversation - the super-strong adhesive will keep your phone safe no matter what. Despite all this functionality, PopSockets barely take up any space on your device. Thanks to the contracting design, too, you can simply "fold away" your grip, ready to be expanded for next time you need it. The washable adhesive which PopSockets use is compatible with many cases (some waterproof cases or silicone cases may not be compatible). Leave your protective case on your device and still enjoy all the benefits brought by PopSockets.